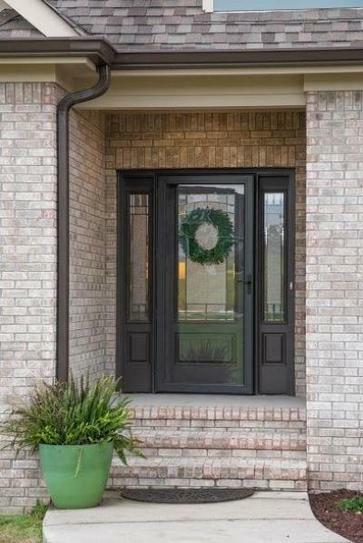 Welcome home to this beautiful custom home in Quarter Horse Estates! 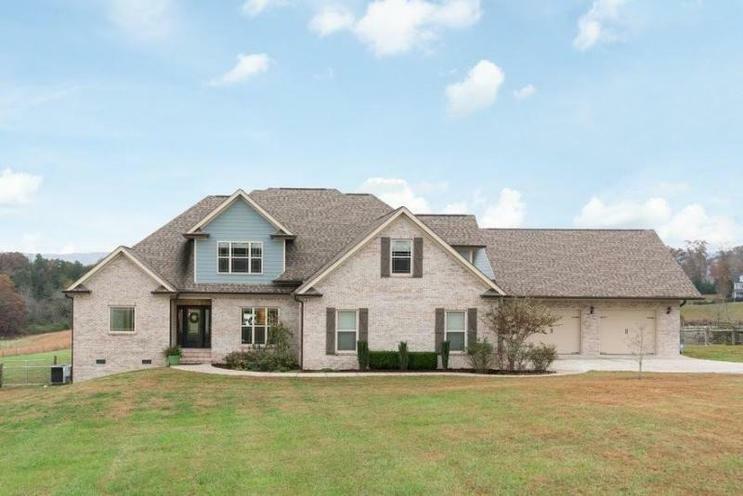 Situated on 6.5 acres (5 acres fenced-in), this gorgeous home was built for families to grow, work and play. 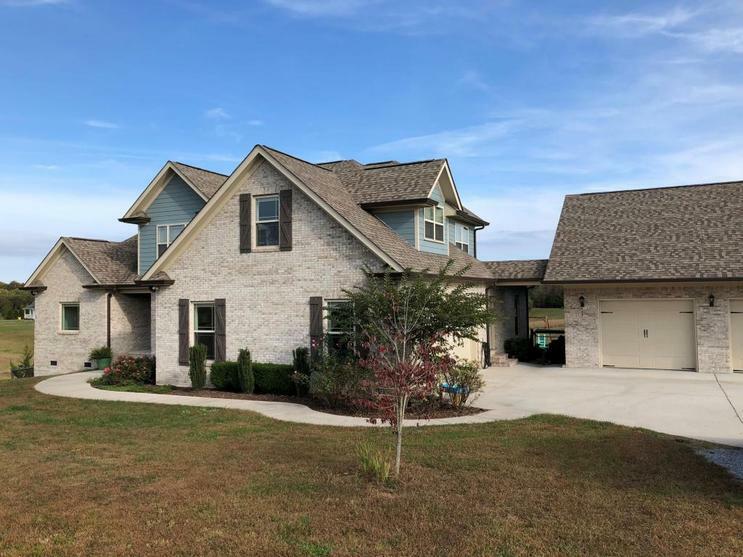 This 5 bedroom 4.5 baths house is nestled into a quiet community convenient to Chattanooga and Cleveland. 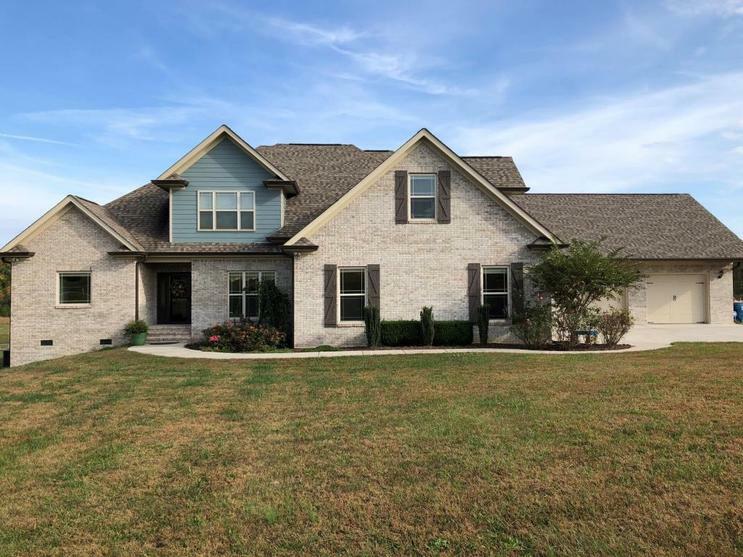 No detail has been left behind.Upon entry, you will be wowed by a vaulted ceiling, custom woodwork, and a stunning enclosed, high efficiency wood-burning fireplace. The open floor plan features a large family room and breakfast nook as well as easy access to the expansive screened-in porch overlooking all your acreage which is complete with a garden and fruit trees.On the main floor, the master suite includes a jacuzzi tub, dual vanities and two walk-in closets. Upstairs there are 3 bedrooms (or 2 and a large bonus room) and two full baths. Specialized features include pocket dog/baby gates, a hidden safe room, a large laundry room fitted for two washer/dryer units, a utility shower, and whole home audio with a media closet. For all of your "toys", there are 2 oversized two-car garages (one attached and one connected by a breezeway).The detached garage is the ultimate workshop as it includes a car lift, commercial epoxy floor, in-wall speakers, wall/ceiling air lines and a half bath! Your views and land are protected as the neighborhood is fully occupied. Minimum acreage is 5 acres per property. This is a great opportunity to own a prime piece of real estate in the evergrowing Ooltewah.